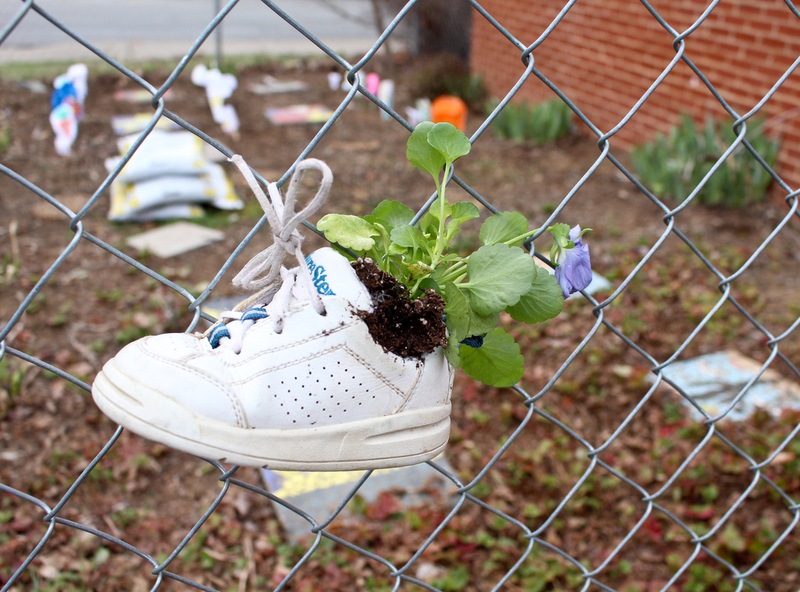 Valle Crucis Elementary features two school gardens: the kindergarten's "Little Diggers" garden and the Secret Garden in the courtyard near the gym. The Little Diggers garden was awarded a 2013-14 High Country Local First Farm to School Grant. They used the funds to grow, improve, and utilize their garden for fun and educational purposes. The secret garden was revitalized during fall 2014 thanks to the time and resources donated by Lowes Home Improvement along with many other dedicated teachers and volunteers. The 7th and 8th graders have created an aquaponics system in Mr. Shack's room where the students are having fun testing the types of plants that will successfully grow in this type of system. Mr Shack and his students hope to transplant many of those outdoors into the two gardens in the spring. The Little Diggers Garden features pumpkins, dill, cilantro, and flowers. Raised beds and gutter gardens are the main features of the Secret Garden. There are two rain barrels and a compost system as well as picnic tables and a black board. In spring of 2016 students planted asparagus, tomatoes, beans, basil, peppers, cucumbers, squash, beets, herbs, and flowers! In spring 2016, first graders filled the pollinator garden with flowers. Thanks to a grant, Valle Crucis was one of six schools that received donations of native pollinator plants that should bloom throughout the summer! Students enrolled in the after school program established a potato bed behind the bus circle. We are hoping that the deer will leave the plants alone long enough for us to harvest potatoes once school is in session again.